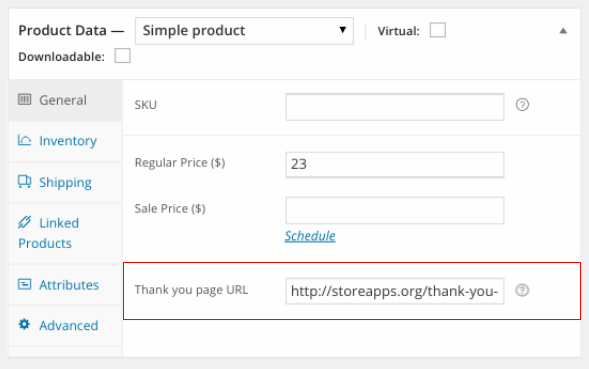 This article will explaing how you can setup & redirect your customers to a Custom Thank You Page Per Product instead of default WooCommerce page. Step 1: Create a new or edit any existing Page/Post. 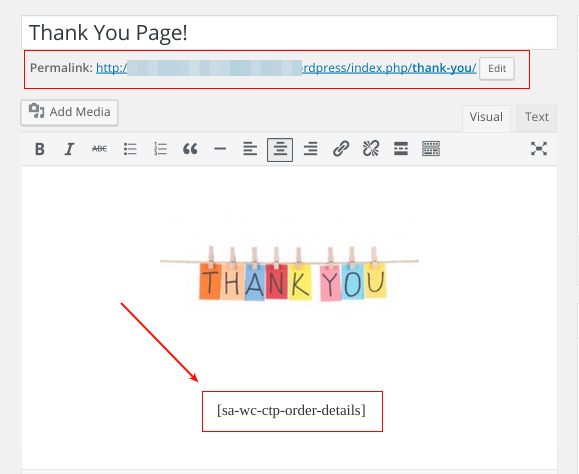 Step 3: Add the shortcode [sa-wc-ctp-order-details] in the content if you want to show the customer their Order details on the redirected page OR select a readymade custom thank you page style as mentioned here and and then click on Update (optional). Step 8: Save the product. That’s it! 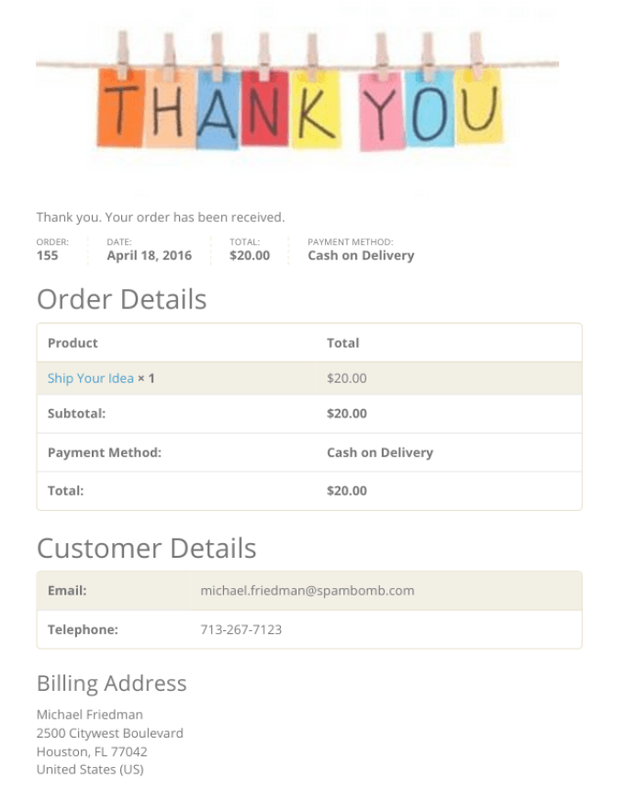 Now, once a customer purchases this product, after order completion, they will be redirected to the specified custom Thank You Page. If the shortcode to show order details was present in the content, then the order details will also be shown to the customer. Note: Above steps are to be followed if you want to set different Thank you page for different products of your store.